Lets Cheers To This by Rise Records at WA Tunes. MPN: 700441. Hurry! Limited time offer. Offer valid only while supplies last. Sleeping With Sirens released Lets Cheers to This in May 2011, and the band has shown no signs of slowing down and the building momentum is clear. 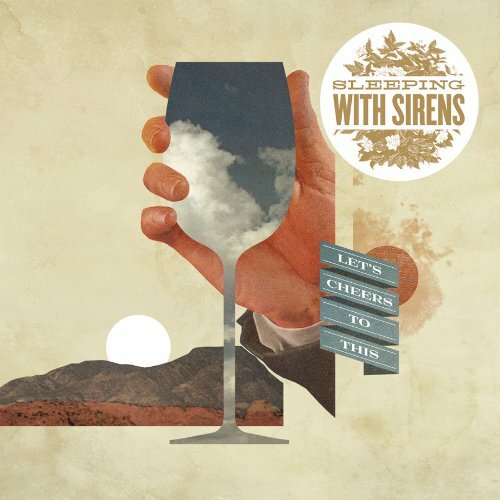 Sleeping With Sirens released Lets Cheers to This in May 2011, and the band has shown no signs of slowing down and the building momentum is clear. After a stint on the Vans Warped Tour, the band has hit the road again on an entirely sold out full US tour with Pierce The Veil. Their enthusiastic, loyal fan base has been eager for Sleeping With Sirens to release a vinyl album. For the first time ever, on a limited run, they can get what they've asked for! If you have any questions about this product by Rise Records, contact us by completing and submitting the form below. If you are looking for a specif part number, please include it with your message.